Employment Law for Staffing Professionals is a must-have resource for navigating the many complex issues regarding the legal relationships between staffing firms, the employees they supply, and the clients that use their services. 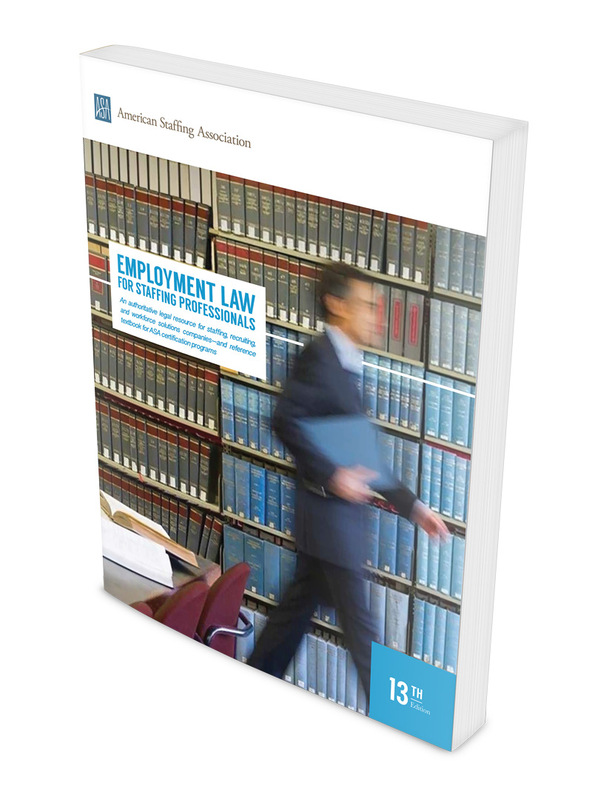 Now in its 13th edition, Employment Law for Staffing Professionals is the essential stand-alone desk reference that provides detailed practical guidance to help staffing firms comply with employment laws, emphasizing preventive measures and techniques aimed at reducing the risk of legal liability for employment law violations. Employment Law for Staffing Professionals is available for à la carte purchase or as part of the Certified Staffing Professional, Technical Services Certified, and Certified Health Care Staffing Professional certification packages. Learn more about ASA certification programs.